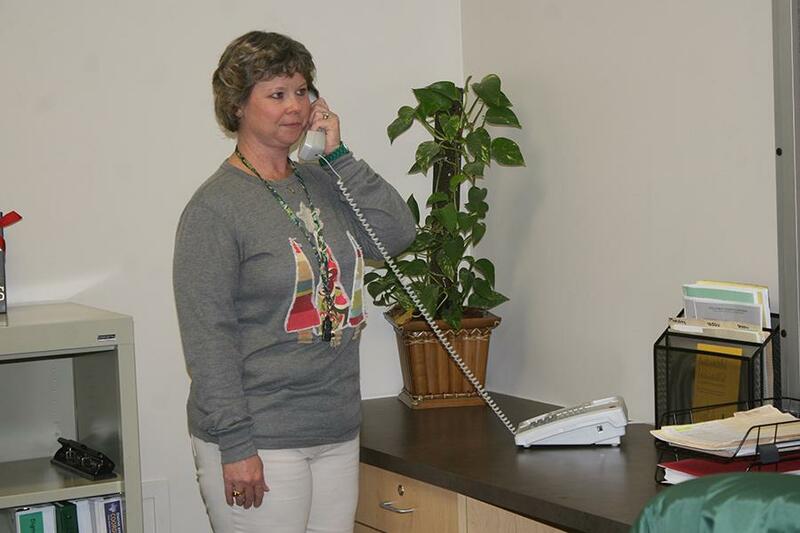 Stacey Smith juggles many different tasks every day in her role as Activities Director. Constantly running here, there, and everywhere is all in a days work for Stacey Smith. She has been the Activities Director at the high school for many years and has found that every day is a new adventure. Smith grew up in Hamshire, TX on a crawfish, cattle, rice, and soybean farm. 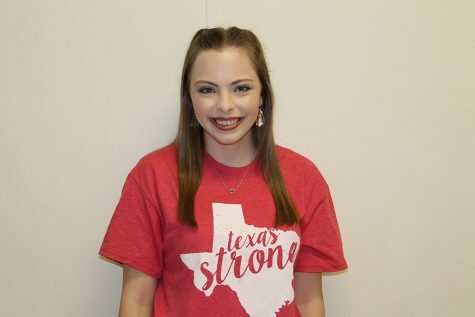 She attended Hamshire-Fannett High School and then went on to earn a communications degree from St. Edward’s University and a teaching degree from Texas Tech University. While Smith was in college, she worked for three years with the Texas House of Representatives in constituent relations for the representative for Southeast Texas at that time, Mark Stiles. One of her fondest memories of that job was when she got to fly on the governor’s plane to accompany Ann Richards and her team to the opening of the prison unit in Beaumont. Before entering the teaching field, she worked in Human Resources for the Texas Department of Criminal Justice. Even though Smith’s parents were teachers, she never had the desire to enter the teaching field herself. That all changed when she was hired at LCM in August of 1996 as a Speech teacher. Speech teachers were needed at this time because the State of Texas decided speech or Communication Applications would be a graduation requirement. Smith has many fond and rather interesting memories from working at LCM. One of her favorite memories is from a few years back when she and Michael Ridout decorated the entire prom on their own. It was a Jungle and Arabian Nights themed prom, complete with live elephants and camels as a greeting committee. After working at LCM for many years, Smith has discovered she finds joy in seeing the accomplishments of students. 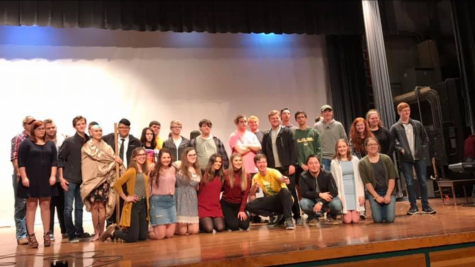 “Many of my favorite memories involve adults and scenes you could put together in a what not to do video when things just don’t go as planned in what you originally thought was a well-thought out activity or lesson initially,” Smith said. Smith believes LCM is just the right size school for her. It is big enough to be able to offer a great variety of classes and activities for students, and it has enough people to be able to keep things competitive and students always striving to achieve more. She said she works with a great team of people and has developed relationships that will last a lifetime. Smith’s job as Activities Director is to make the activities that do not fall under the categories of instruction or discipline run smoothly throughout the school day. She said she typically comes to work with a plan for the day, but is usually diverted to something of higher importance.